Our Thanksgiving worship service will be on Wednesday, November 21 at 6:30pm. 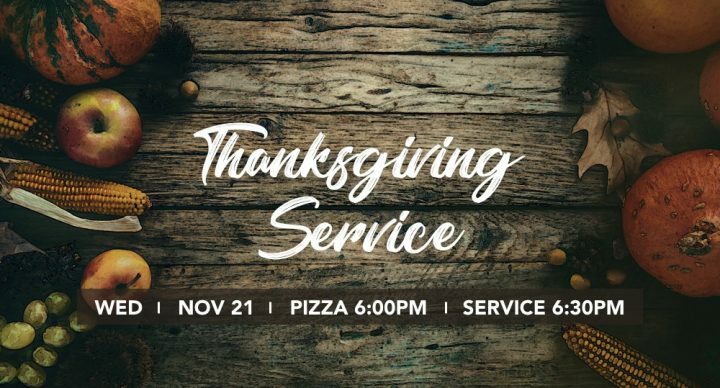 Join us for pizza before the service at 6:00pm. RSVP for pizza to Marie Isenga at misenga@remembrancechurch.org no later than Monday, November 19. A monetary offering for Belknap Ministries will be received and non-expired food items will be collected for the Northwest Food Pantry.